Last year we brought you something different, we took you on a journey back to the Balearic beats which filled the White Isle in the 1990’s. The night was fantastic and we listened to you, read your feedback, and the decision to bring that Ibiza feel back to Hastings was a very easy one. This year, House is back, and it’s going to be bigger, better and even more banging. Friday the 5th July we are bringing you an incredible lineup, starting with the brilliant ‘Chill DJ’s’ from House of House for a sunset chilled DJ set. 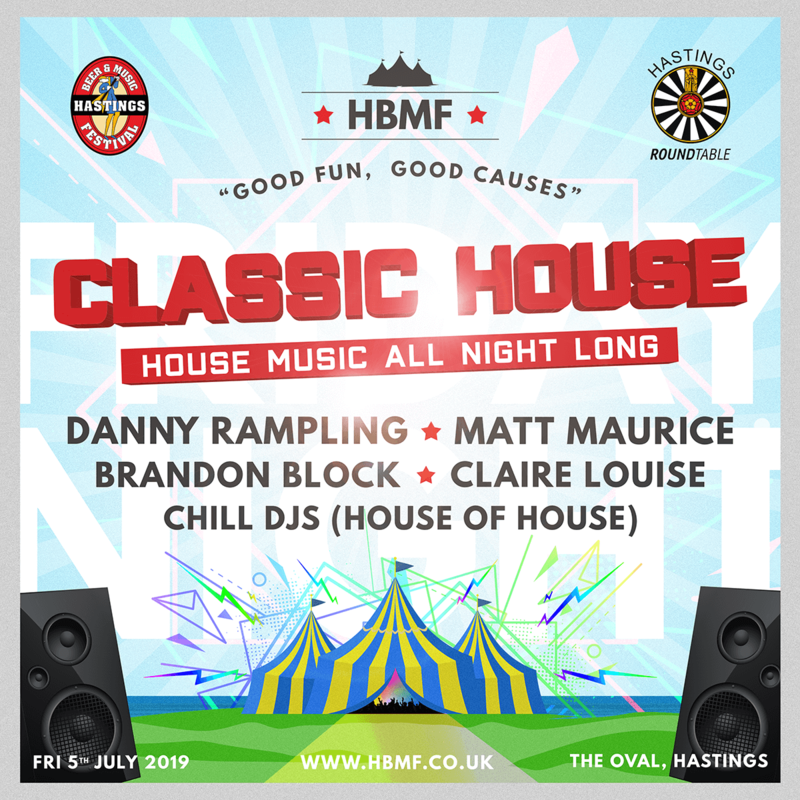 Then Claire Louise returns along with the awesome Matt Maurice, Ibiza legend Brandon Block and one of the founders of the UK dance scene Danny Rampling who was recently voted in the top 5 of the all-time top 50 DJ’s by Iconic Underground Magazine. This will be a sellout event, so please get the date in your diaries round up your friends and get your tickets as soon as possible.